We have some exciting news that we are finally able to share with everyone. We are constantly looking for new ways to provide valuable services to all of our clients and business partners. After some considerable thought we decided to introduce a Photo Booth offering to our business services suite. After noticing the lack of quality photo booths in Philadelphia, Derrick and I set out to upgrade the photo booth experience using professional camera and lighting technologies to produce beautiful images. We are happy to introduce Instaglamour Photo Booth!! Here are some exciting reasons of why Instaglamour Photo Booth should be a part your next event. Our open-air photo booth gets guest out of the “box” and removes the curtain with more people and more fun. Most photo booths look unappealing and we thought we could improve the overall experience. . We built our photo booth to be small, sleek and beautiful so its fits in at every venue. One of most cherished aspects of our photo booth experience is our on-site printing whether for a wedding or corporate event. Prints come almost instantly and are totally dry to the touch. All photo booth packages come with social media sharing. All event long guest will be sharing to Facebook and Twitter from a social sharing kiosk that is included in our photo booth. 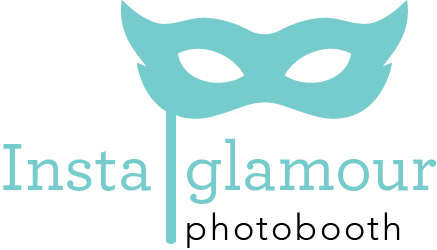 Instaglamour Photobooth is available for weddings, corporate events, graduations, holiday parties, galas and more. We cannot wait to be a part of your next event. We have the newest photobooth technology from a company called Photobooth Supply Co. Check out their promo video below to see the look and feel of our photo booths.